Cornwall Chamber of Commerce and Visit Cornwall have teamed up to create International Tourism Week. 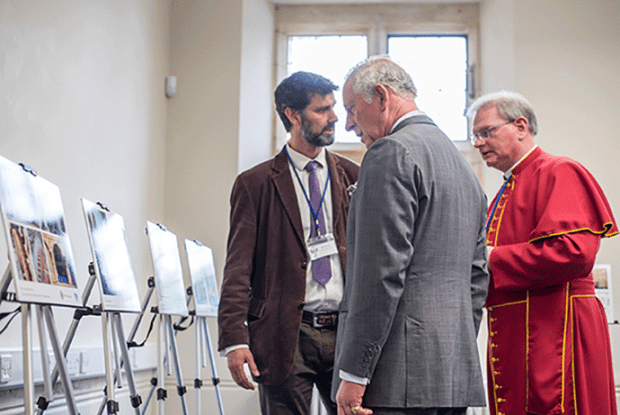 Export for Growth, an ERDF and government funded programme delivered in Cornwall by Cornwall Chamber of Commerce, has joined forces with Visit Cornwall to create Cornwall’s first International Tourism Week. Whilst predictions for international tourism in 2018 are the highest in years, now is the time for all businesses, big or small to consider raising their game and selling to an overseas market. According to the tourism body, overseas visits to the UK are forecast to break through the 40 million mark for the first time in 2018, reaching 41.7 million, up 4.4 per cent on 2017, which is expected to see 39.9 million total visits with increasing numbers coming to Cornwall. Cornwall still rates far above the national average for visitor satisfaction and spend per visit is increasing. 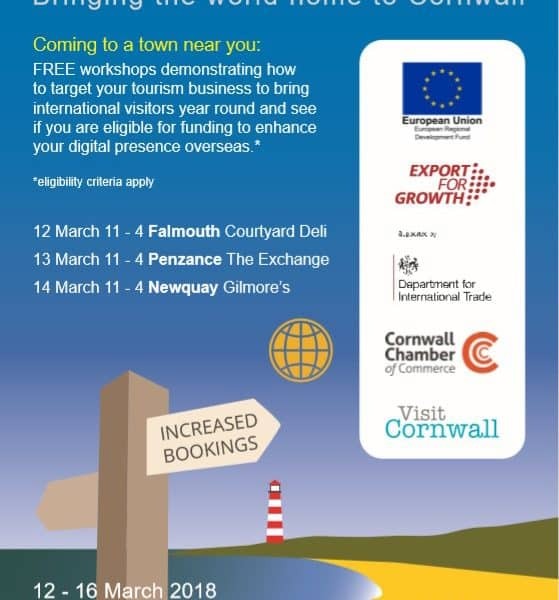 To find out how Export for Growth could help business in Cornwall, attend one of these events or contact Laura Barnes at Cornwall Chamber of Commerce. Fully funded by the ERDF, spaces on these events are FREE and will book up quickly.